“Anonymous Commentor Number 3,” which, at NASA would quickly become ACN3, had a great question! Ok. 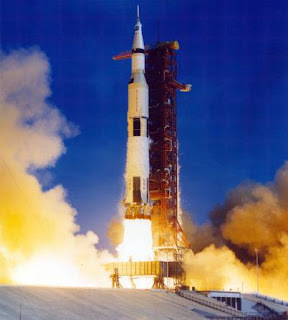 The first time NASA decided to go to the moon engineers created the largest rocket yet built, the Saturn V (Saturn-Five)! Here is a picture of this monster! Personally, I believe this is the greatest rocket ever built (GREB)!!! 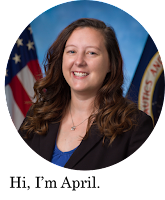 Even now, as I am learning about NASA’s new rocket, Ares-I, it is obvious that the Saturn V’s design has an enormous impact on this project. Specifically, NASA is using heritage hardware and engineering problem solving proven by the Saturn V!!! The Saturn V is 365ft tall, for comparison, that is 65ft longer than a football field, or about as tall as a 35 story building! 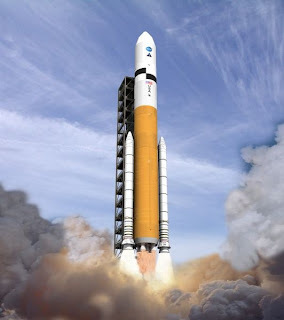 Once the moon had been conquered NASA decided to create a re-usable space vehicle with a large cargo capacity. 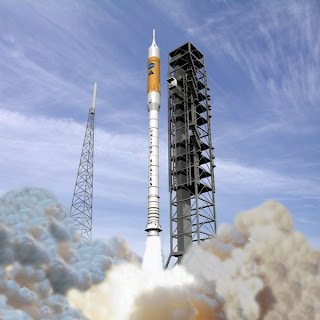 Below is a picture of the manifestation of this goal: The Space Shuttle, also known as The Space Transportation System! Finally, as explained in my last entry, the Ares-I vehicle is the rocket which will launch the crew on their way back to the moon! 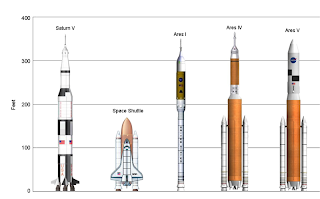 Ares-I is not quite as big as the Saturn V because in the Constellation system a separate rocket (Ares-V) is used to lift the “cargo” which includes the Altair Lunar Lander. 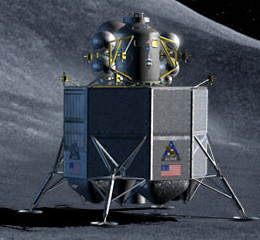 Ares-I is shown below as well as the Ares-V and the Altair Lunar Lander. Ok, so now we will compare the size of each vehicle with a nifty graphic representation that I found online! Click the photo to enlarge it! 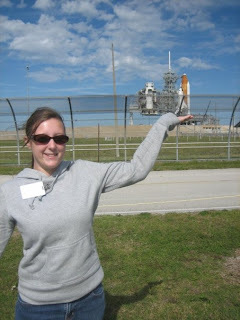 As you can see, the Space Shuttle is sort of itty-bitty compared to the monsters that have/will take us to the moon!!! In other news…..I’m not sure how, but I forgot to hook up my insulin pump this morning. I got to work and wasn’t feeling too great. Oh, and I think I freaked out my “intern-mate” that sits next to me. I put a sticky note on my computer that said in very large letters “Type 1 Diabetic” and told him that if I pass out, please just point to the sign when the paramedics arrive. Shout out to Lifesaver Intern-mate LANCE! Wow I feel nerdier already Ape. Wow, You sound like a steeley eyed rocket person! Hey babe, thanks for the awesome comparison. I'm sure who ever ACN3 is will be very happy.